For anyone interested, we have a mini BB-8 kit available now here. The instructions are online if you want to build your own instead of buying the parts kit from us. Just click through to the listing and then look for the instructions button on the middle right side of the page. 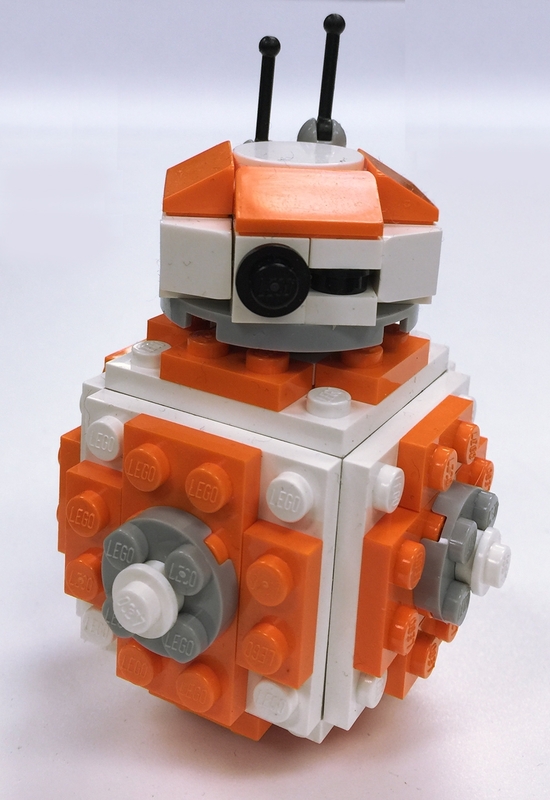 We've seen several different MOC versions of BB-8 online, and we decided to go with our own design that is "build friendly" for kids rather than some of the more complex and creative versions. So this isn't targeted to the AFOLs looking for challenging builds, but rather for your kids to enjoy. And I apologize on behalf of the USPS that shipping internationally is now stupidly expensive.